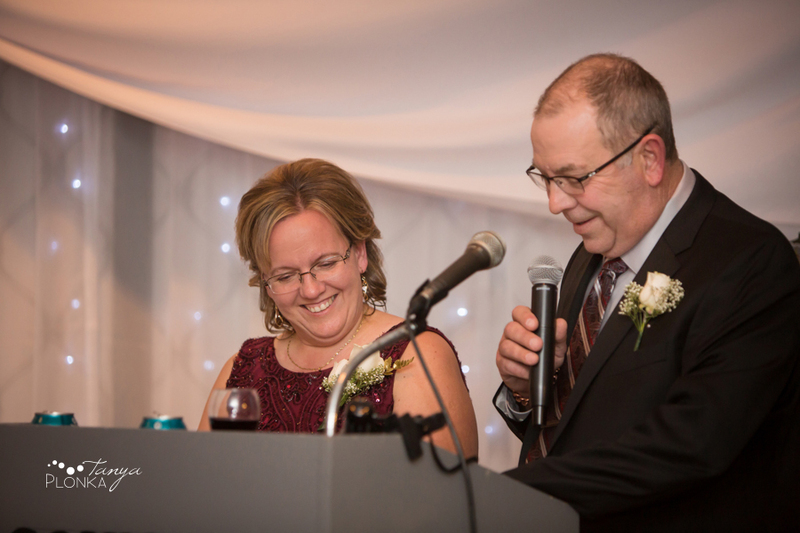 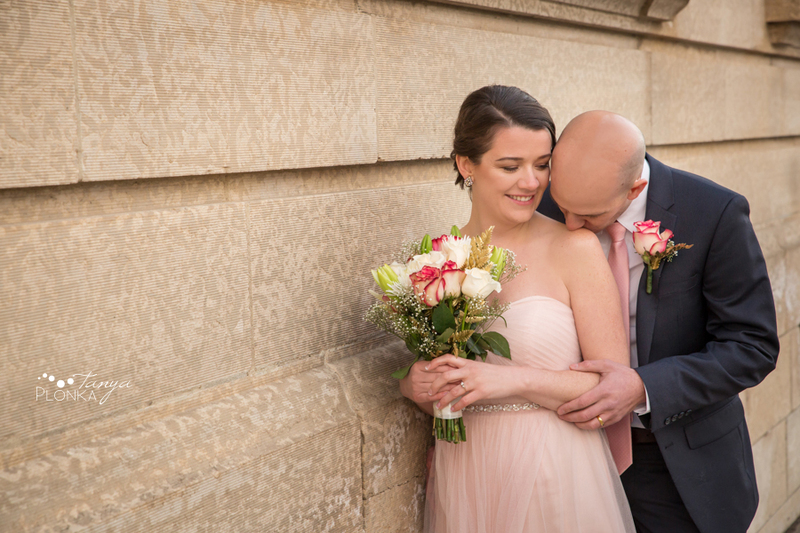 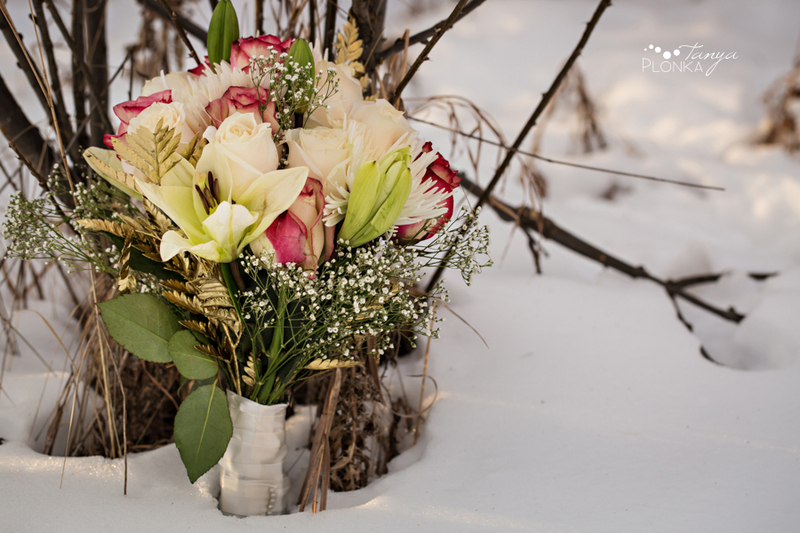 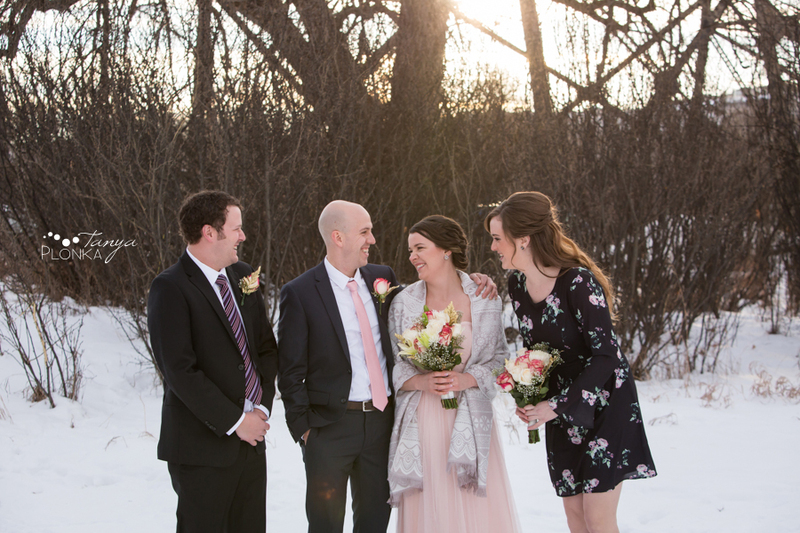 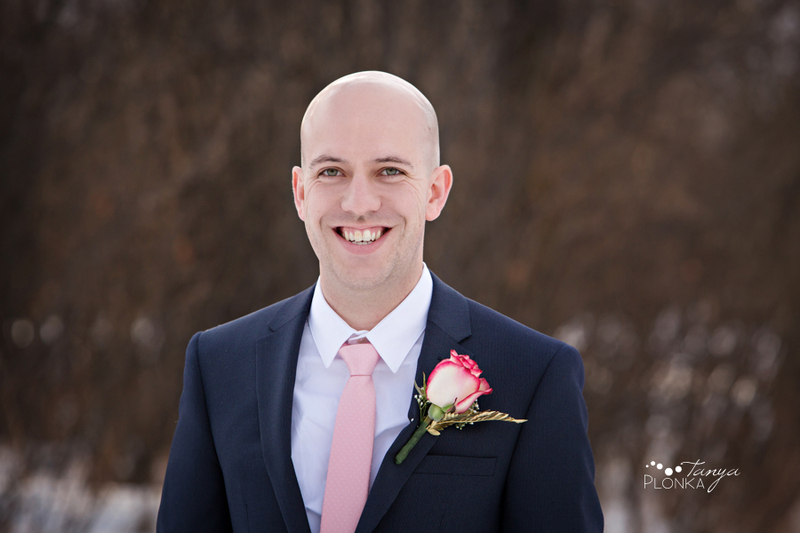 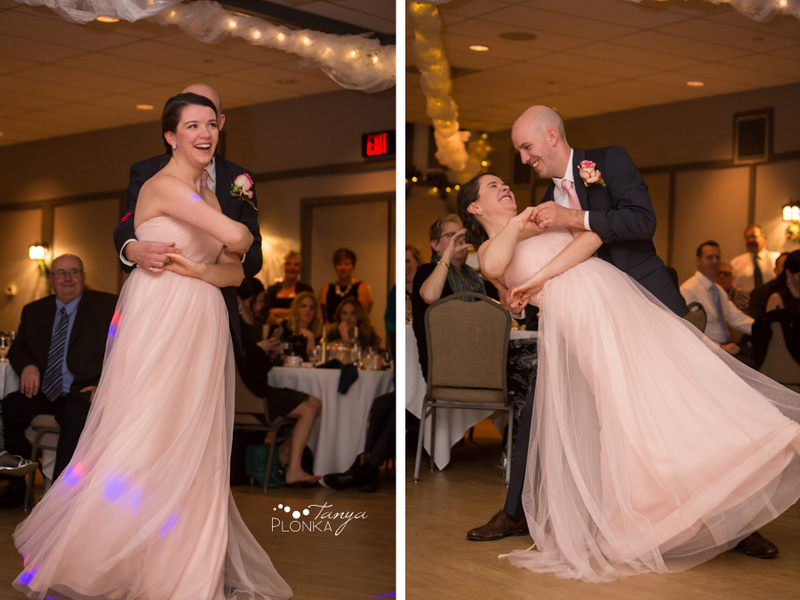 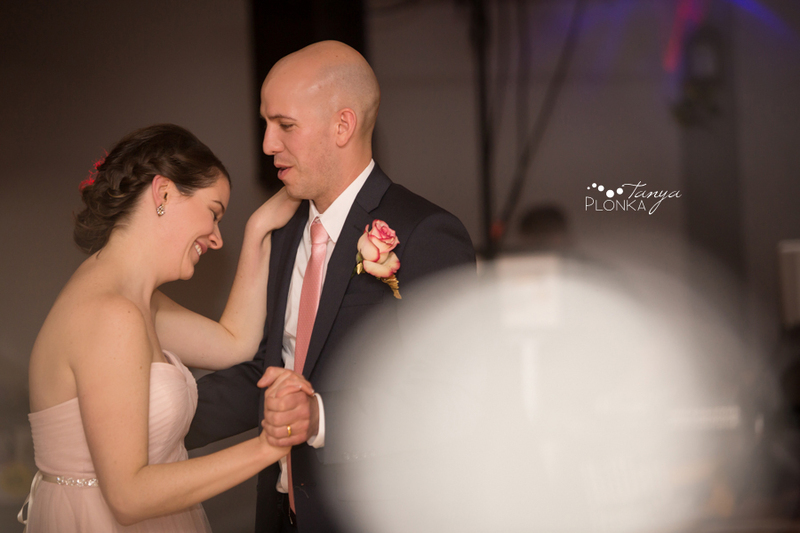 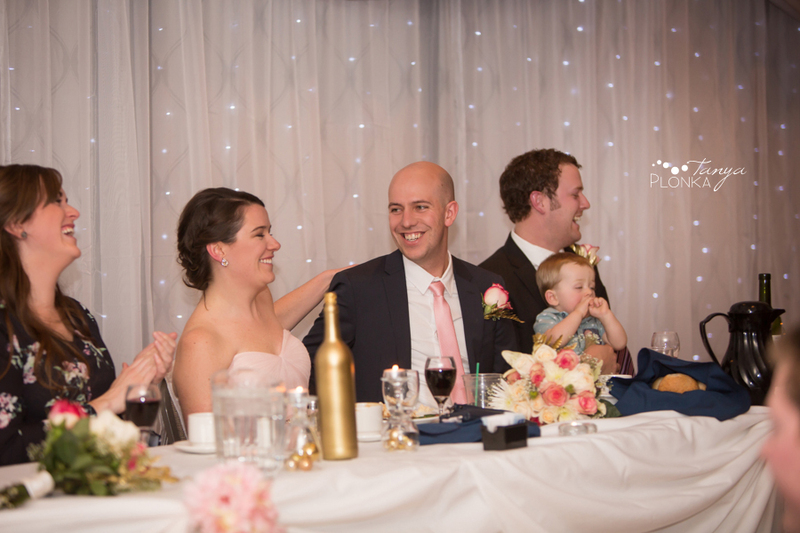 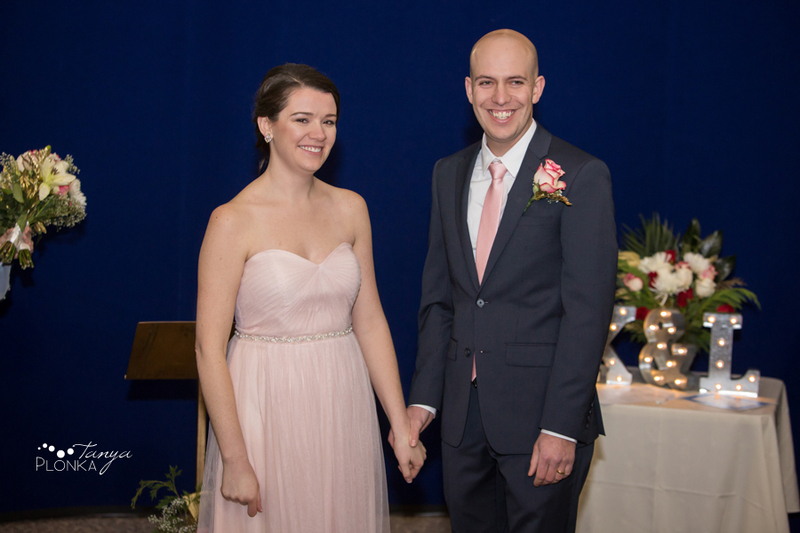 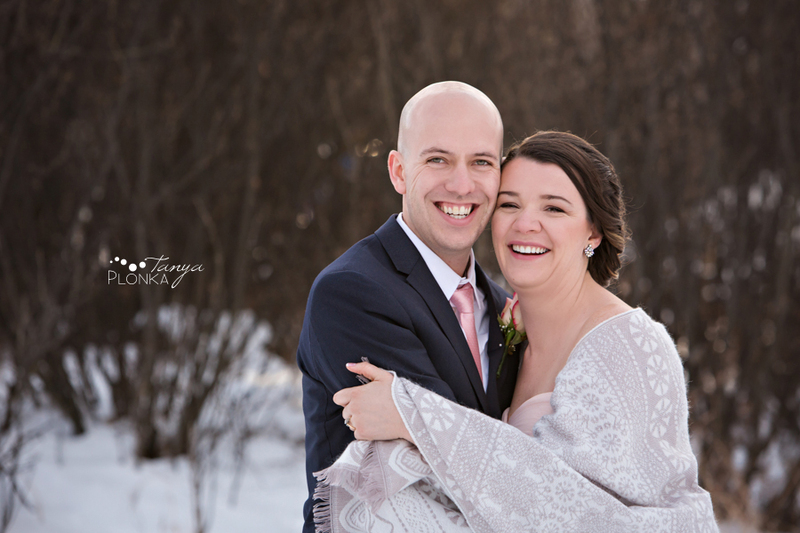 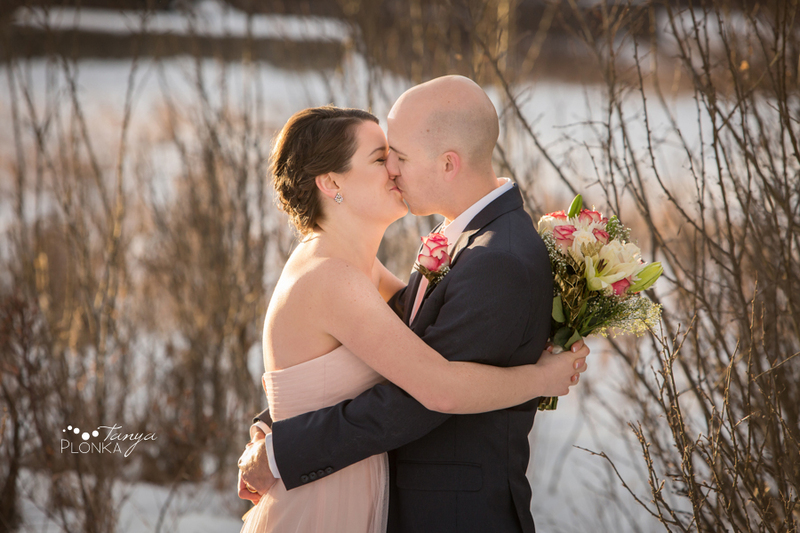 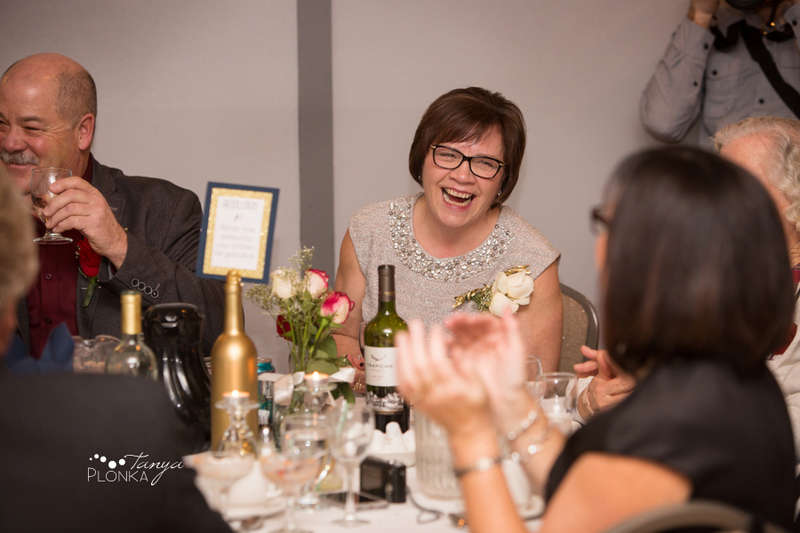 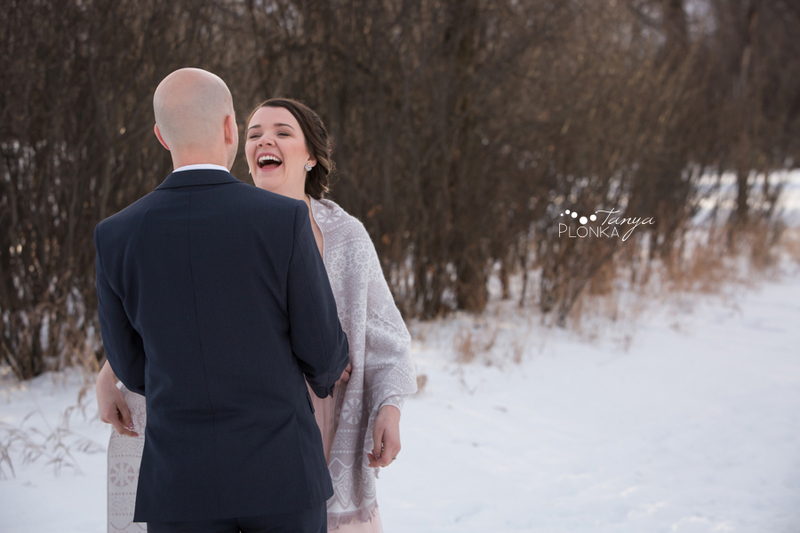 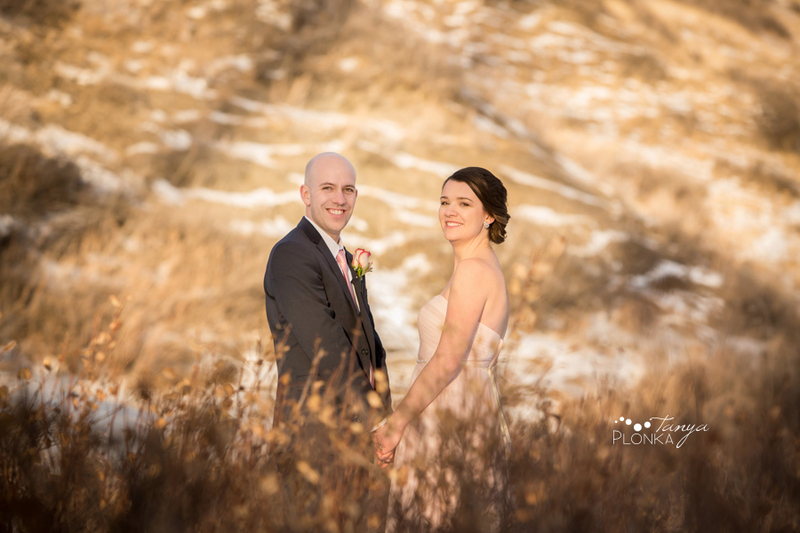 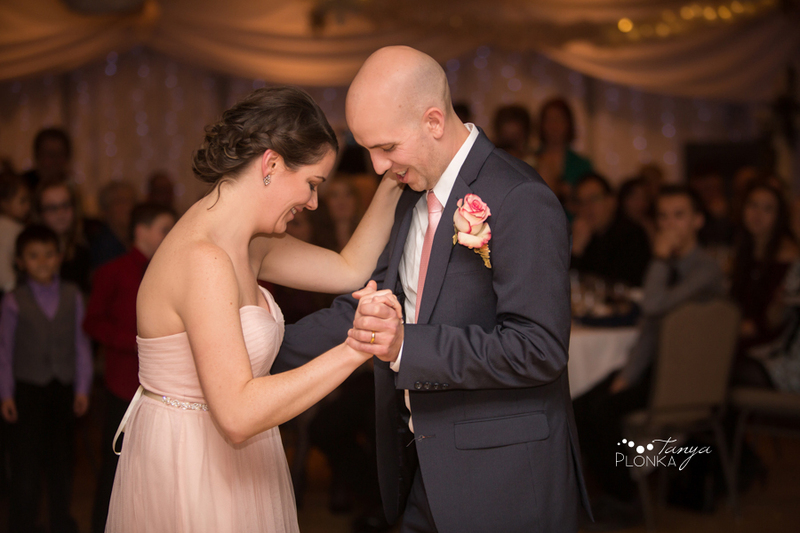 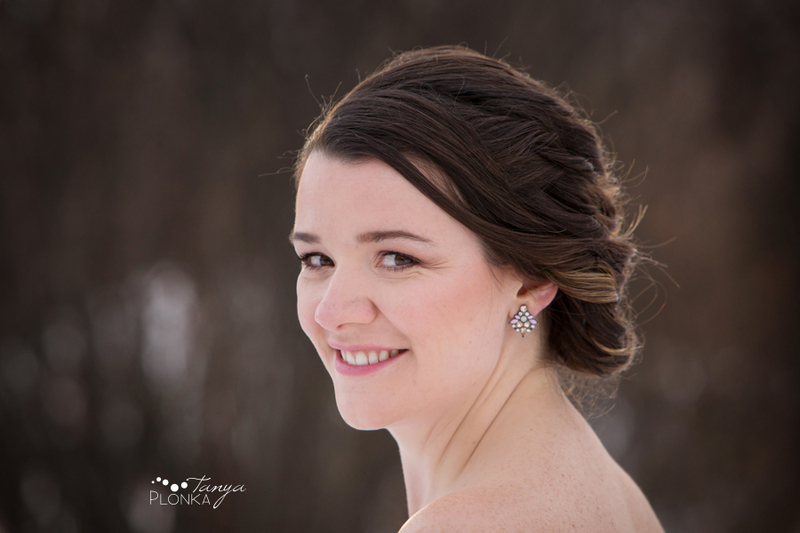 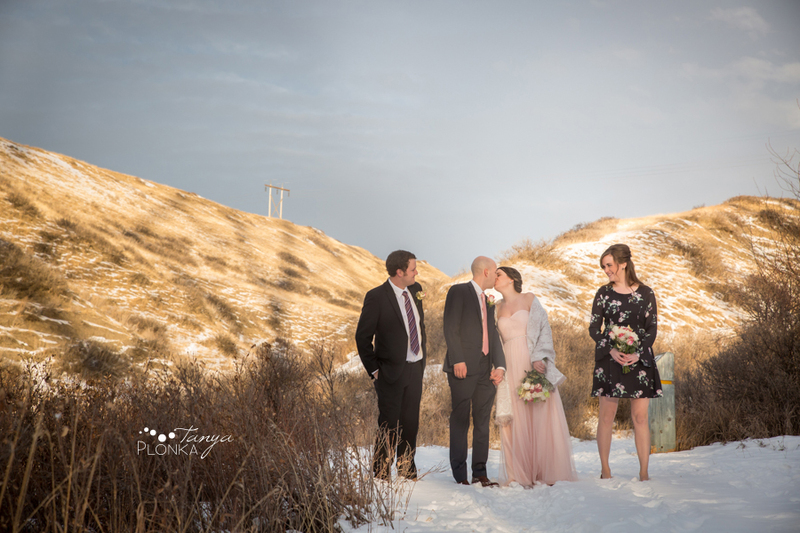 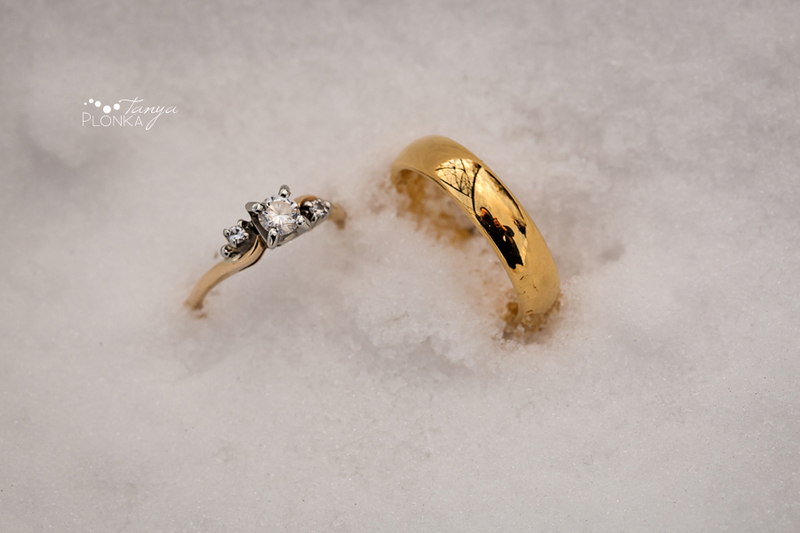 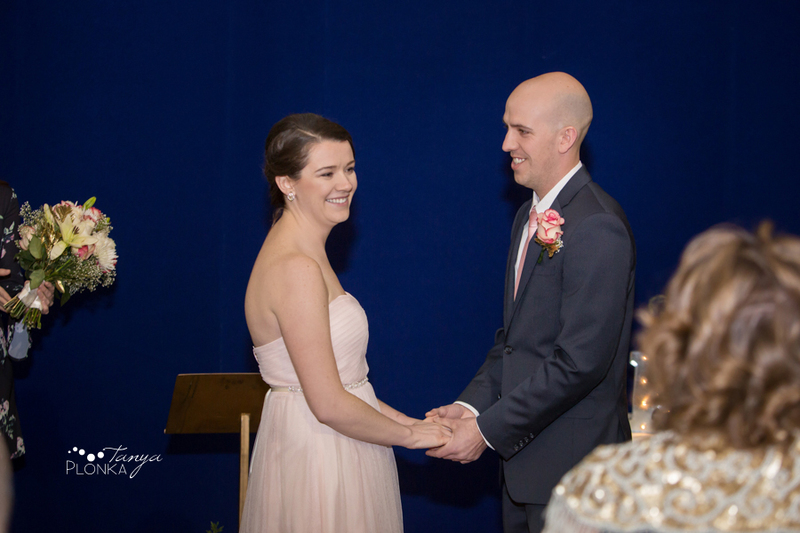 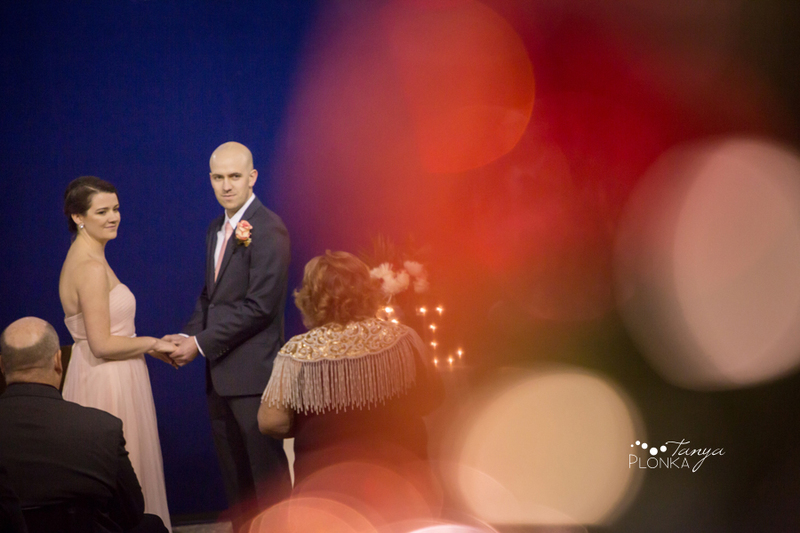 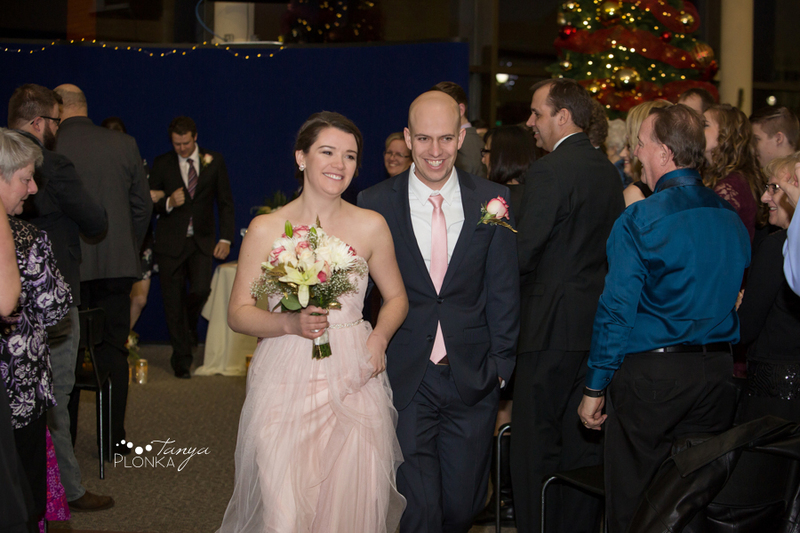 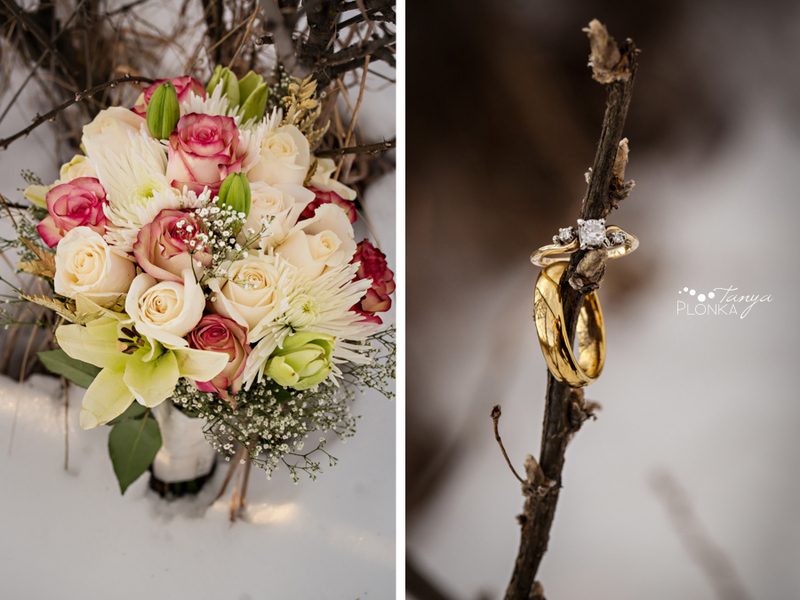 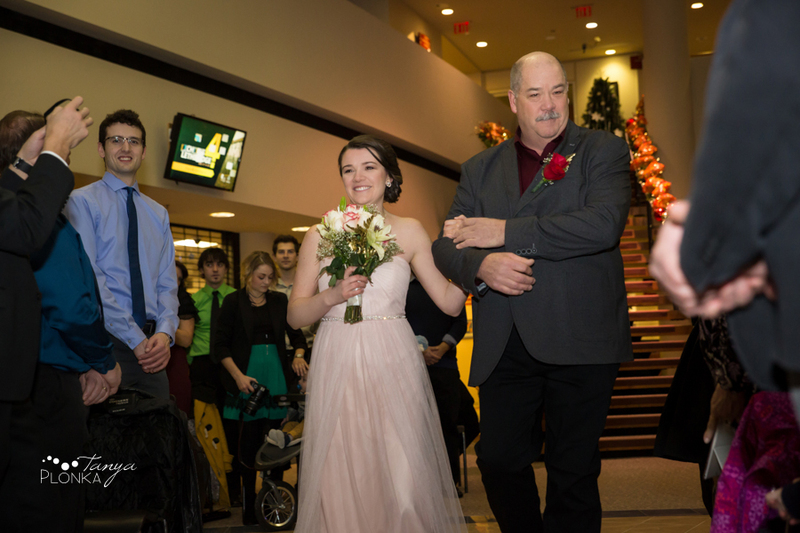 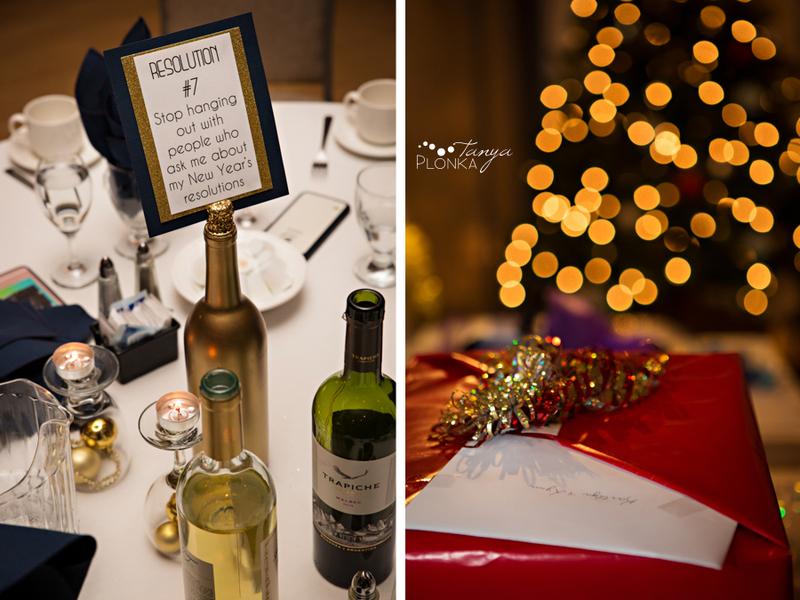 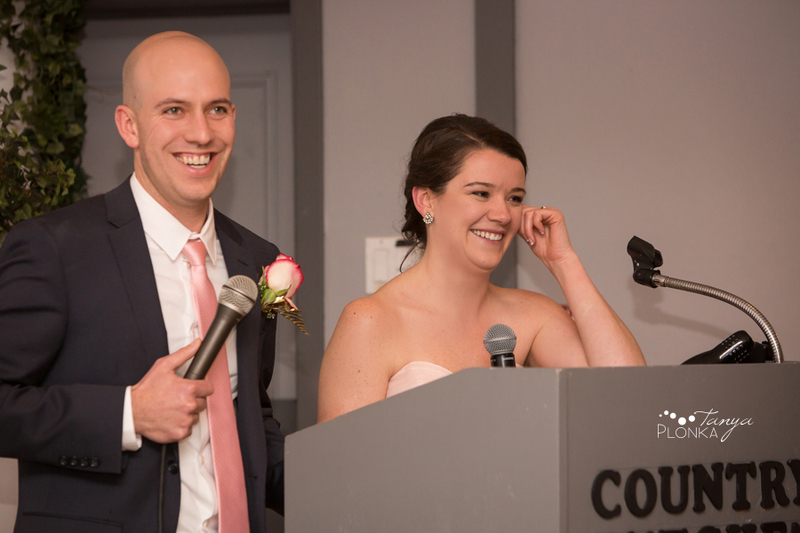 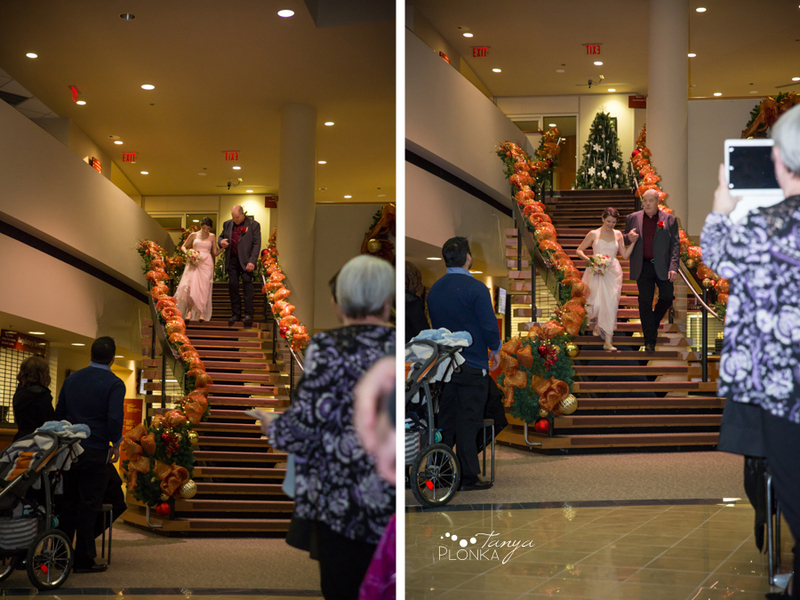 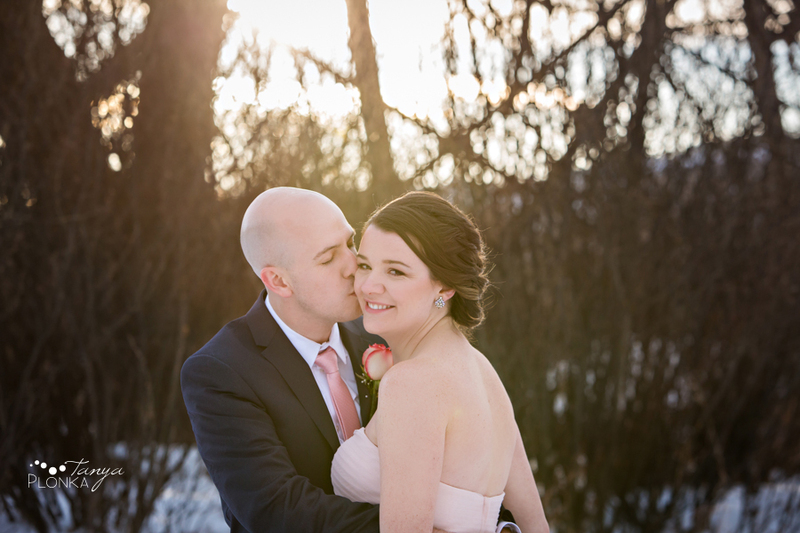 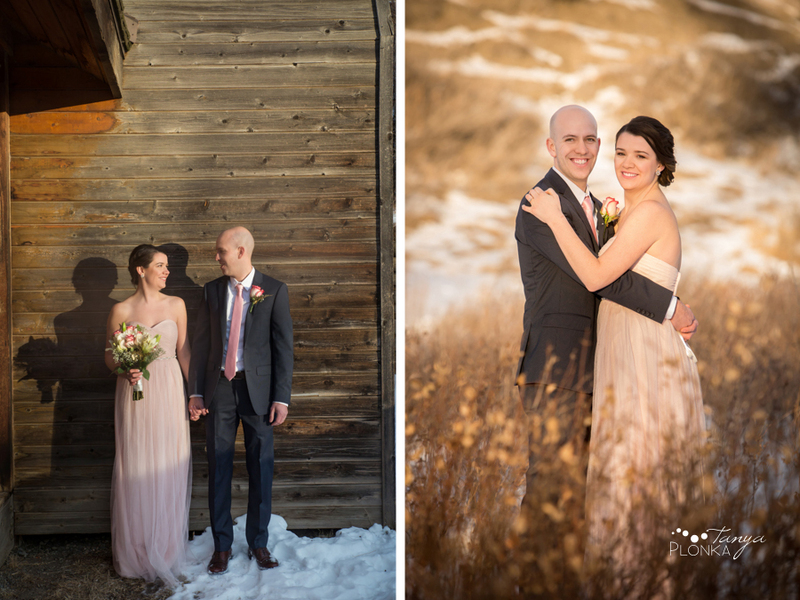 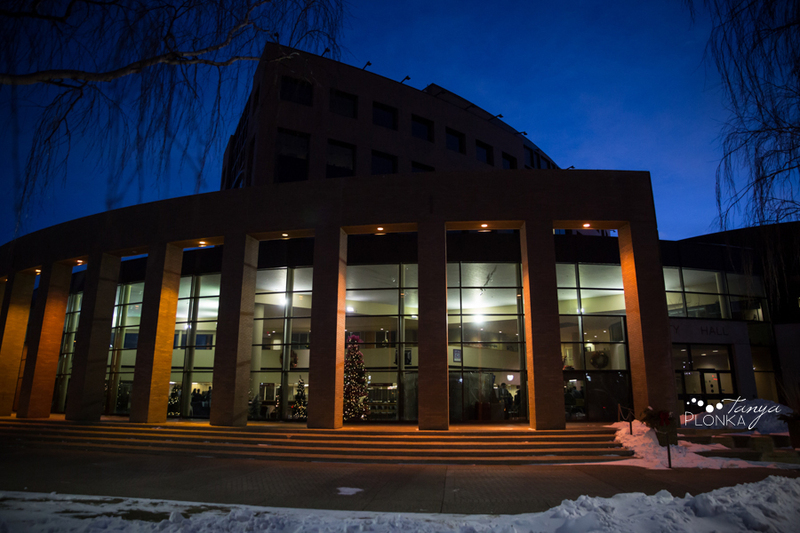 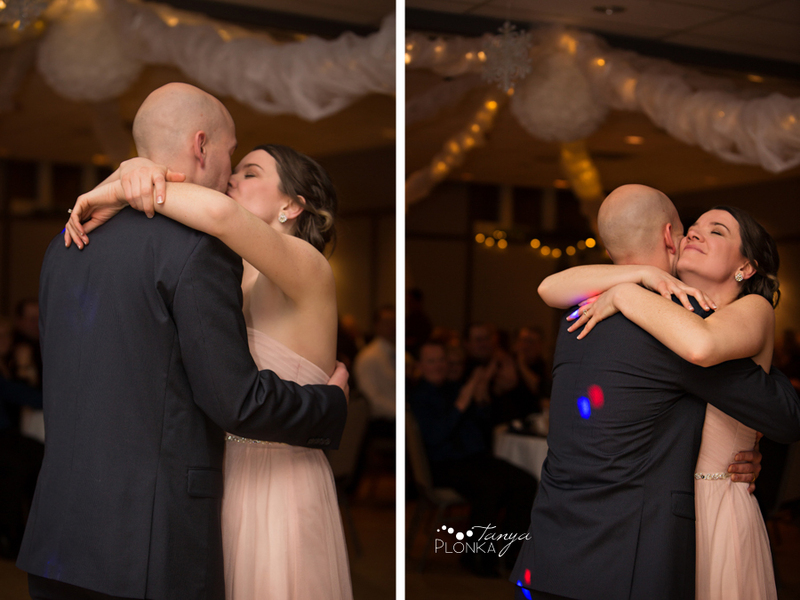 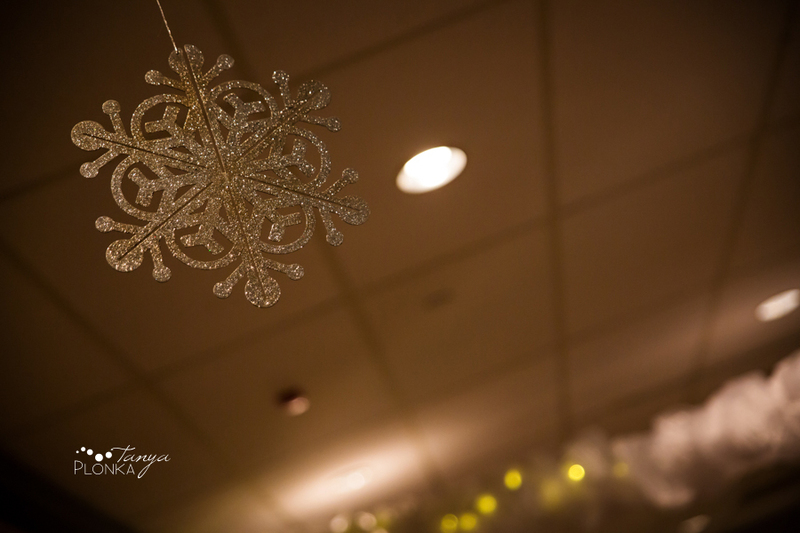 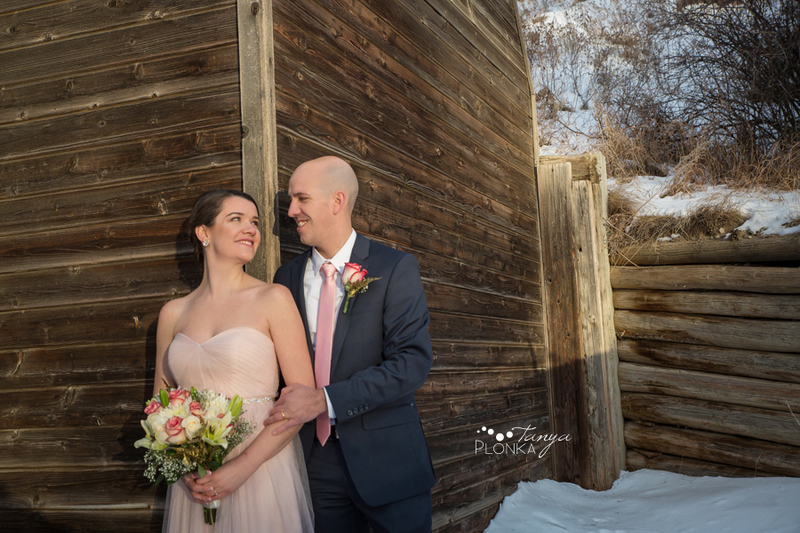 What better way to throw a party than with a Lethbridge New Years Eve wedding? 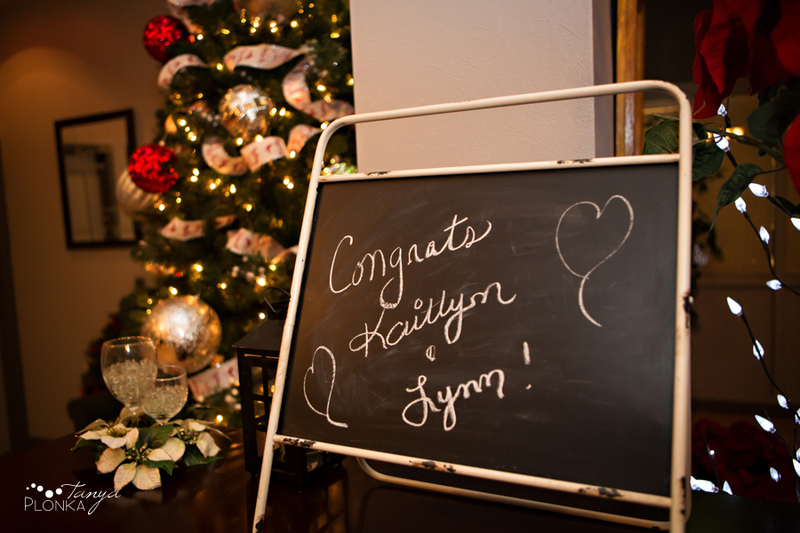 Lynn and Kaitlyn planned their celebration to take place in the evening on New Years so they could ring in the upcoming year and their new life together with all of the people who mean the most to them. 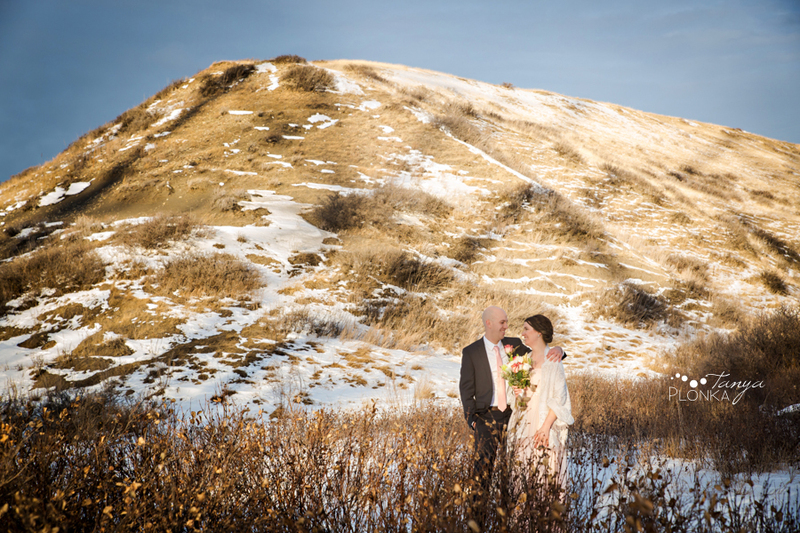 They started their photos with a romantic reveal in the coulees just before a surprisingly warm sunset. 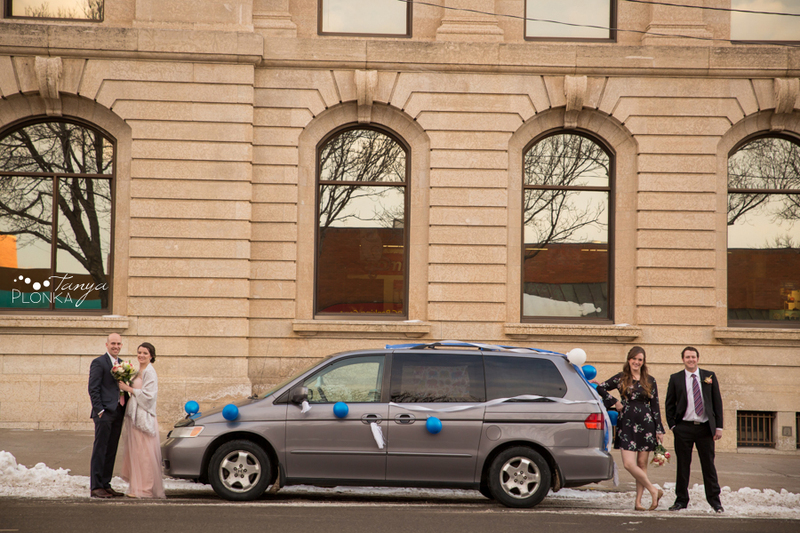 Kaitlyn was shuttled to the location by family and hid in the van until Lynn was just out of sight. 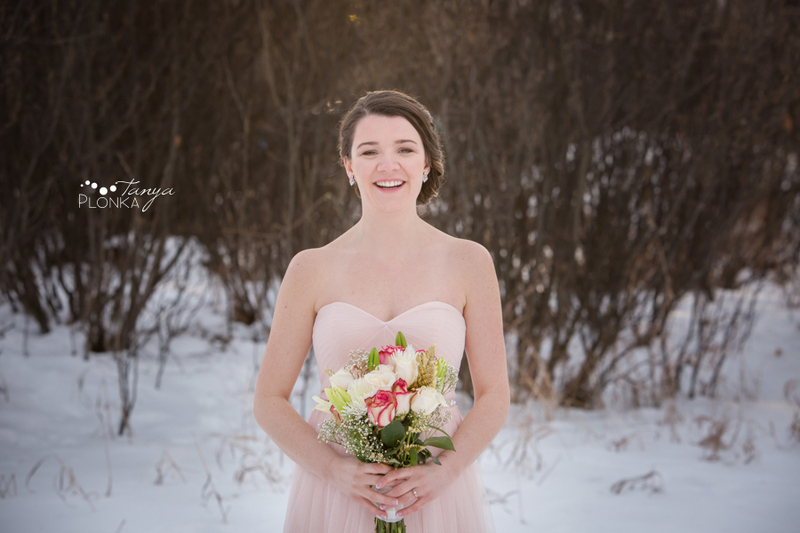 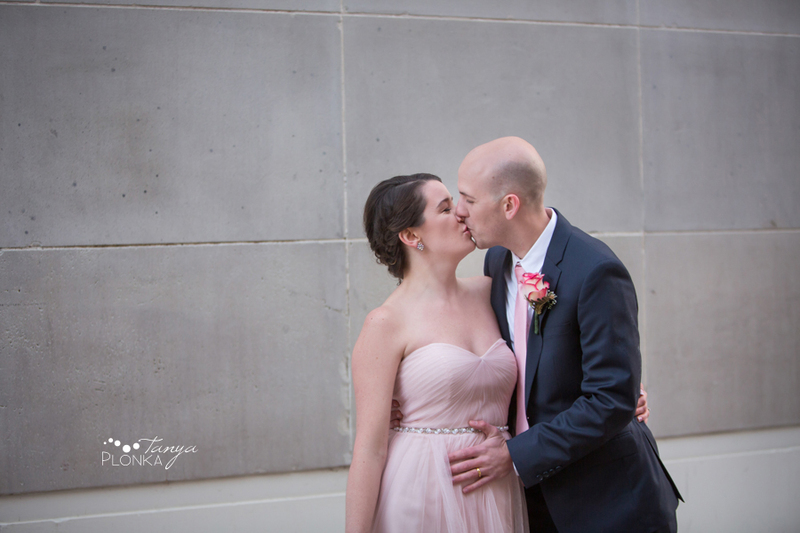 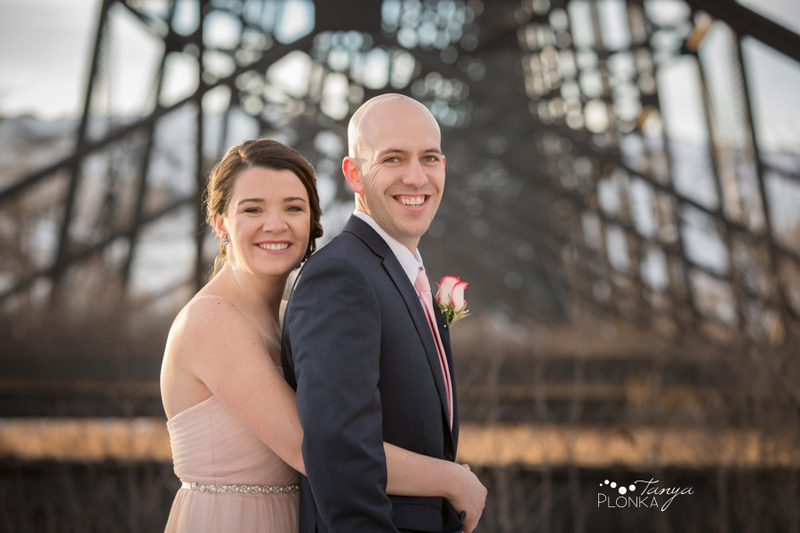 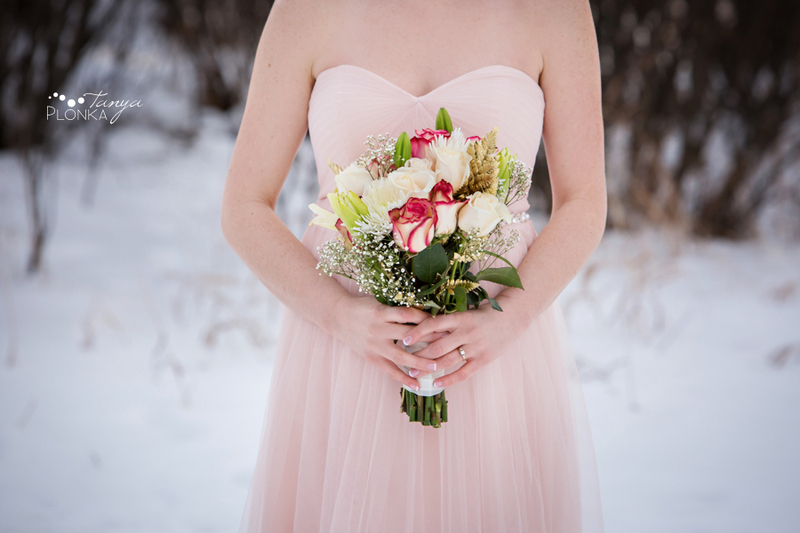 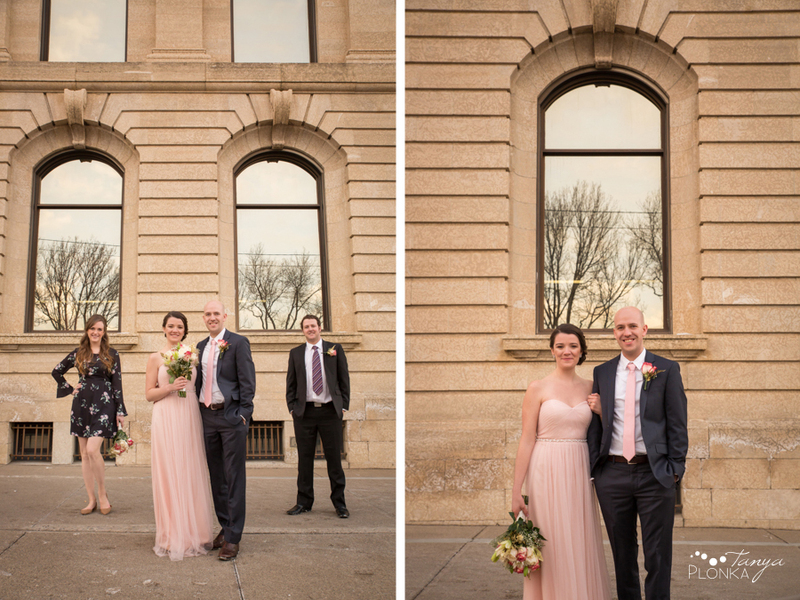 After a few moments of embracing Kaitlyn braved the chilly air to show off her beautiful soft pink dress. 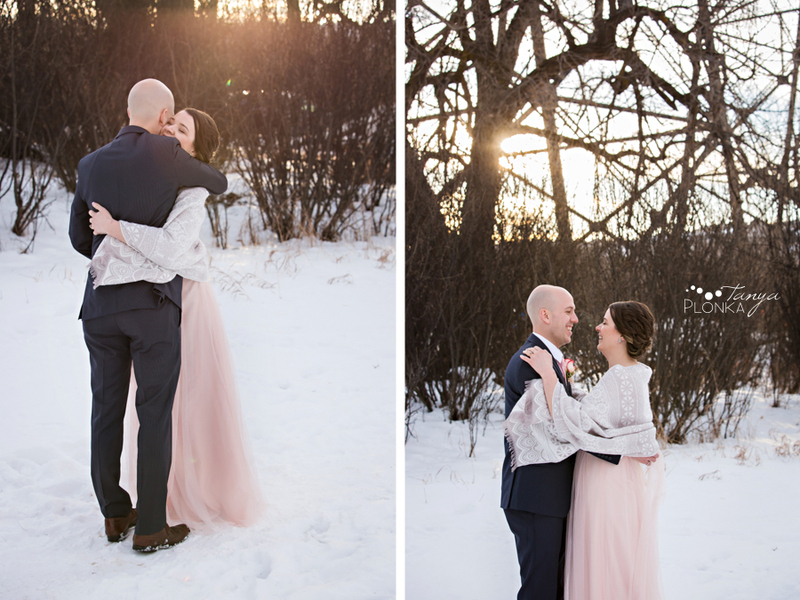 They were so awesome about working outside despite the weather… and at least it gave them an excuse to cuddle extra closely! 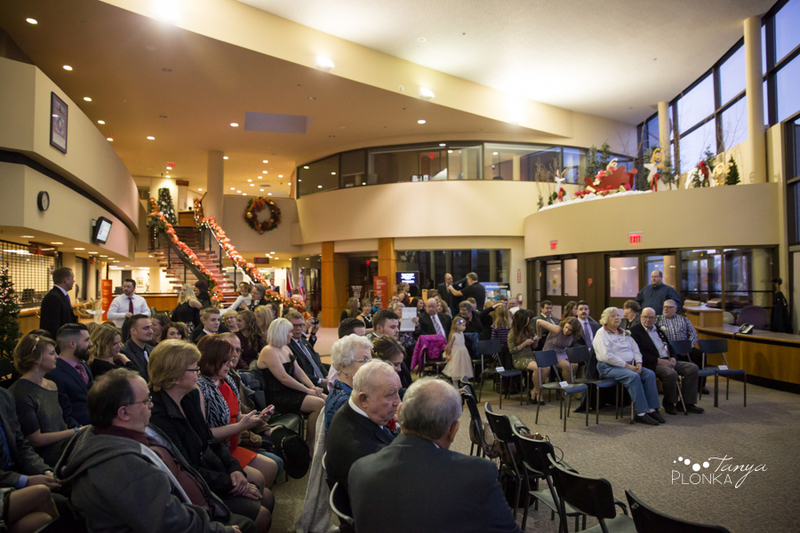 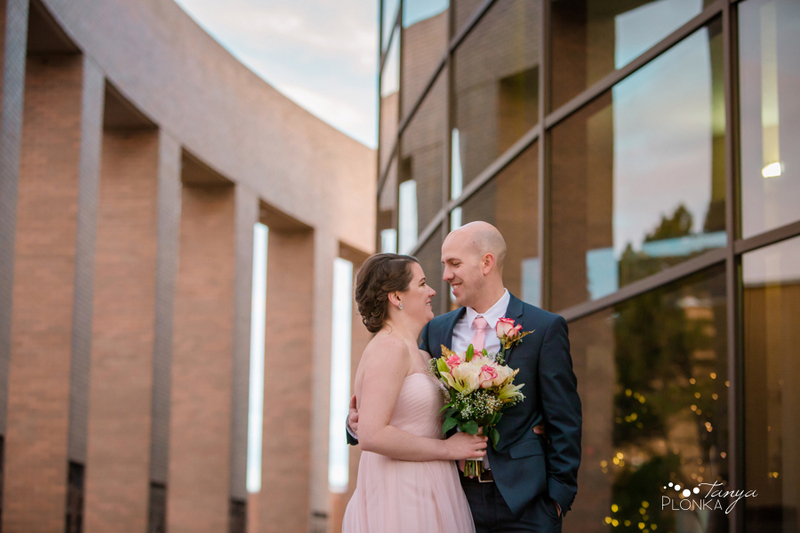 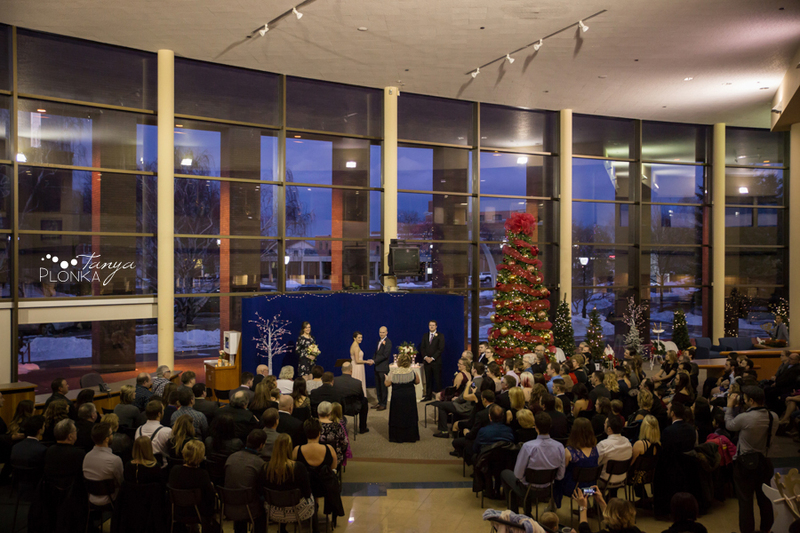 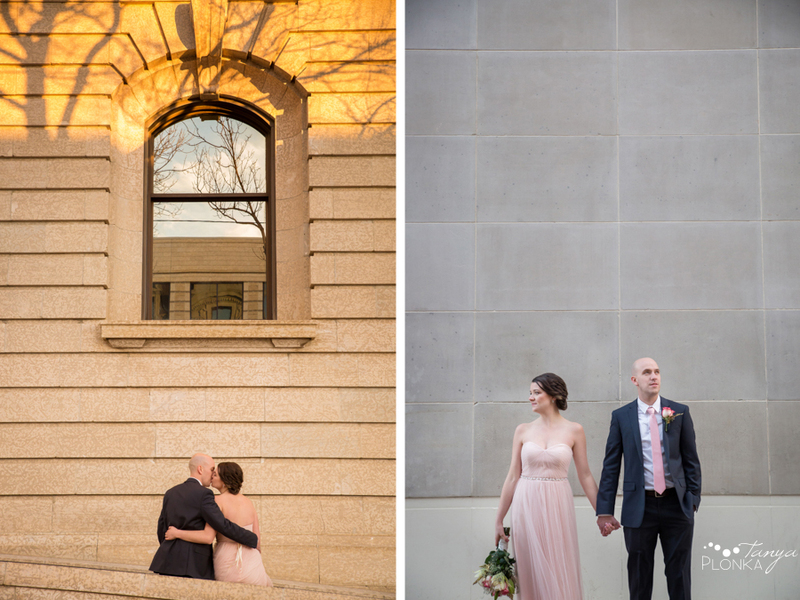 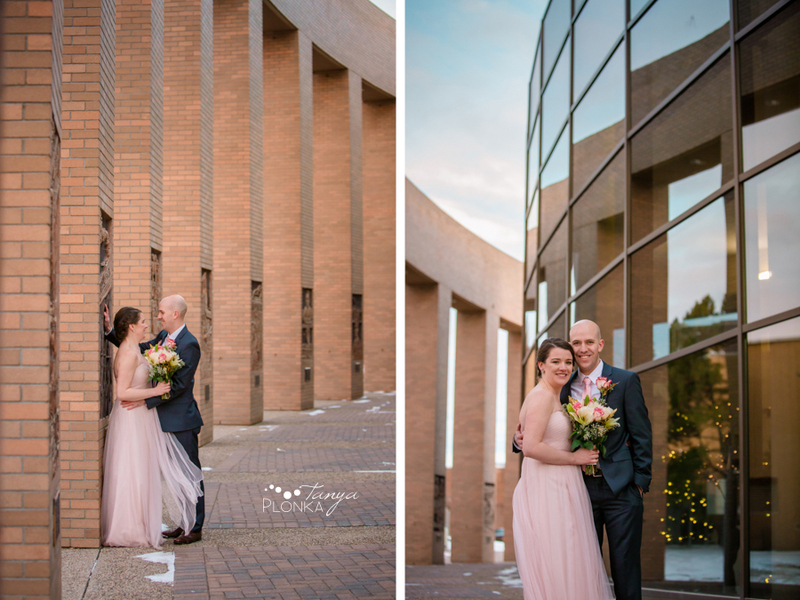 Their evening ceremony was held in Lethbridge City Hall. 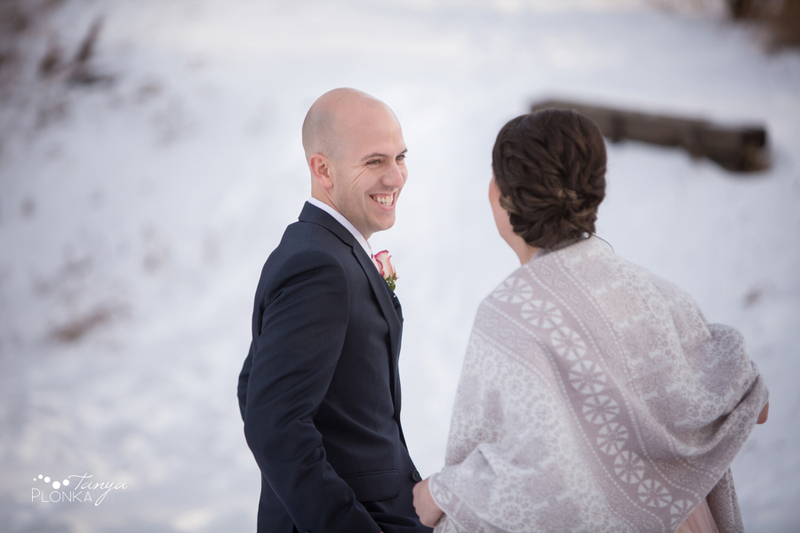 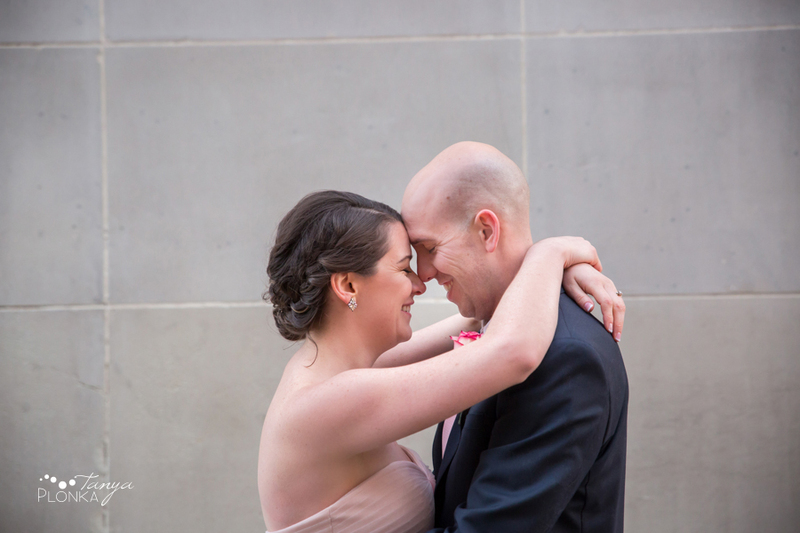 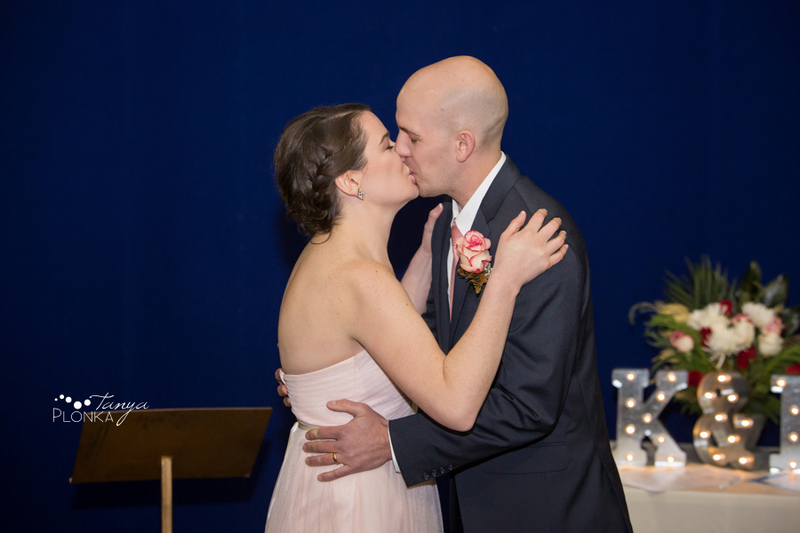 Their vows were a perfect mix of sentimental and humorous and could not have reflected their personalities better. 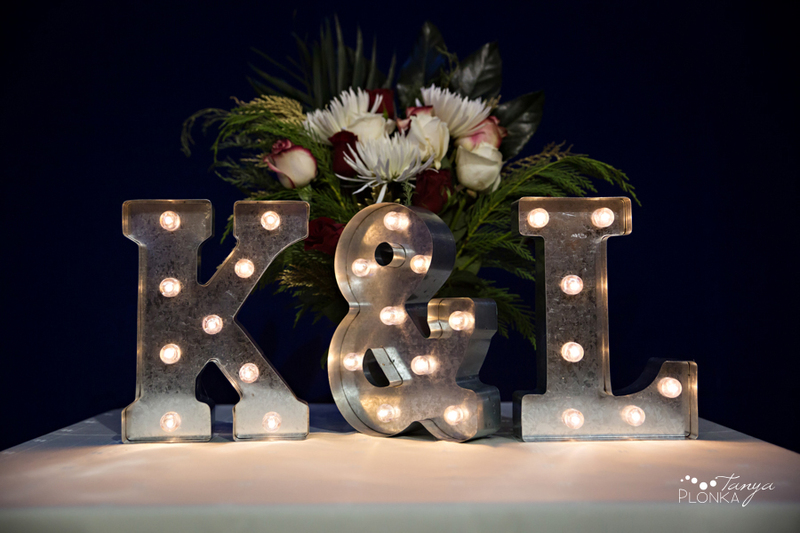 Country Kitchen Catering provided their reception party venue and dinner later that evening.